Twist Our Words is a great site I spotted while watching TV in the UK. It enables you to create video sentences that are 'mashed up' from a collection of clips of UK TV celebrities saying each word. If you don't understand that then look at this example I created. Click the white arrow to play it. Making a video like this is very simple, just go to: http://twist.channel4.com/words and you'll see a page full of words. Click on the words you want to put in your sentence. Then click on the words will appear along the bottom. When your sentence is complete, click on the white arrow at the and to watch it. If you like the video, then just click on submit and you'll be able to get a URL link for the video or and embed code to add it to your site or blog. If you don't want to create your own sentence you can just click on 'Lucky Dip' and you'll get an automatically generated sentence. I think Twist Our Words is a great tool to use with students to get them creating and listening to language. They can produce a lucky dip sentence and then see how many word they can add to it without it loosing sense. You could produce sentences that have errors in and get the students to try to spot the errors and correct them. You can produce a collection of sentences and get students to decide which are correct and which are not. You could have a competition to see which students can produce the longest grammatically correct sentence. They could collect together all the words they can find that include a particular phoneme or all the word which rhyme. They could try to make a video with all the words that contain 3 syllables and the same stress pattern. I hope you can try a few of these ideas and they work for you and your students. I have to admit that I'm not a great fan of grammar, but this is a site that I do really like. It's called English Language and Usage and it is like a Q & A of English grammar. 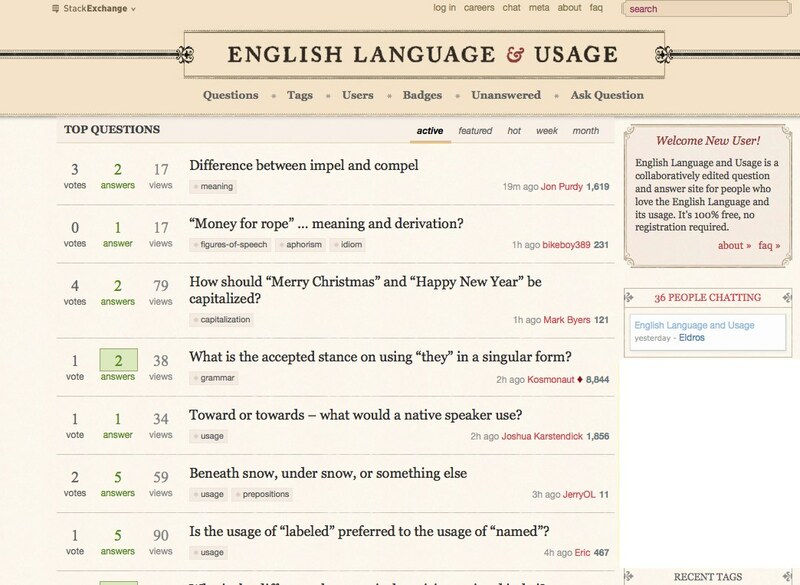 The site has a huge collection of questions that people have sent in about various aspects of English grammar idioms and general usage and anyone who is registered can the try to answer the questions. I think this would be a great tool to use with trainee teachers. They could find questions and check to see if the agree with the answers. They could also post their own questions and answers. It's also a great way to test your ability to answer thorny questions that might come up. 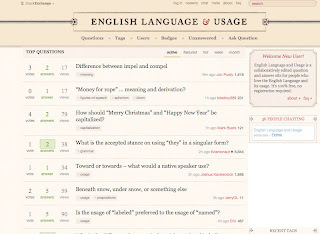 If you are looking for questions related to a particular aspect you can search through the tags to the side and click on any that interest you. For me this is a great way to approach the development of grammatical knowledge ( I find attempting to read grammar books impossible). Though I'm not sure that the site would be suitable for any but the more advanced students of English. 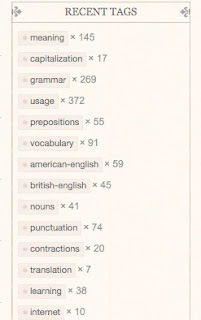 English Language and Usage is a really good way to make grammar interesting and collaborative. I hope you find it useful. A while ago I wrote a posting (Teaching Grammar Through Songs) on how you could search song lyrics for particular words or phrases, then find the lyrics and video to go with the song. In the posting, this involved using two different sites, but now I have found one site that does the whole thing. The site is called Batlyrics. It's very simple to use. You just go to the search part of the site and click the 'Lyrics Words' search. Then type in the phrase, structure or words you want to find in the text and you'll see the possible phrases from the lyrics start to appear. Once you select one, you will be linked through to a page of possible versions of the song. Select the one you want and the video of the song should appear with the lyrics underneath. This is a really fast way to find motivating listening materials for your students that deal with specific structures or vocabulary. You can get students to search for their own examples and learn the words. You can use it as a way to find listening materials and copy the lyrics to make into classroom activities such as gap fill or reorganising the text. 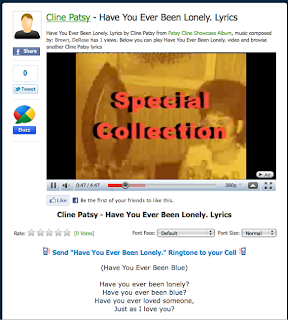 You could cut and past the lyrics into this cloze test creator and you then have an interactive listening activity. Better still students could find there own songs and copy the lyrics into the cloze test creator so that they create their own personalised activities. Batlyrics is free to use, but it does carry quite a lot of advertising though so be careful where you click. I hope you find Batlyrics useful. Here you can find more EFL / ESL activities that use songs. 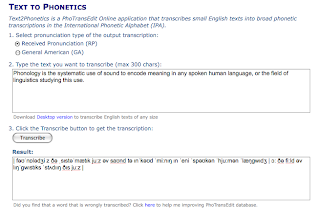 Text2Phonetics is a very handy site if you like to use phonemic script with your students. 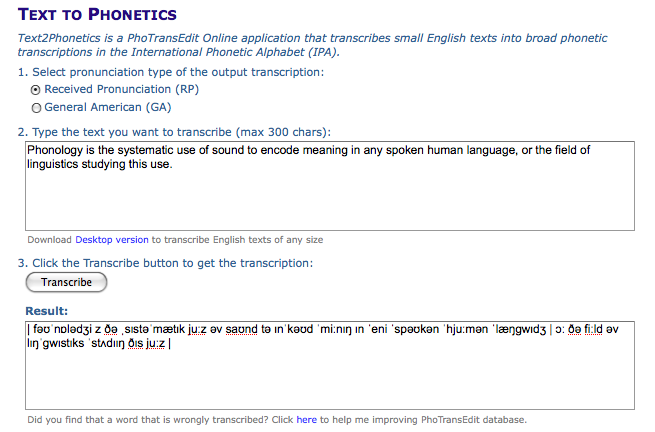 It can take a lot of the hard work out of transcribing text to phonetic symbols. 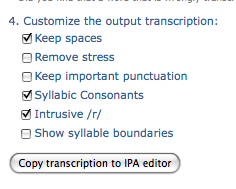 You just paste in a short piece of text, click a button, and it does it for you. You can then copy and paste the text into websites or documents, like the text below which I copied from Wikipedia. Here you can see how well it transcribes. This was done using the 'RP' setting. Phonology is the systematic use of sound to encode meaning in any spoken human language, or the field of linguistics studying this use. This looks like a really great tool to help prepare materials for students or to get students using for themselves. Here's a few ways you might use it. Get students to type example sentences using new vocabulary words and convert them to script. Produce some sample sentences in script for your students to decode and read. Produce some examples of script and the original text and add some pronunciation errors to the script and see if they can spot the errors. Get students to translate short texts or sentences to script and then use the site to compare and check their own transcriptions. 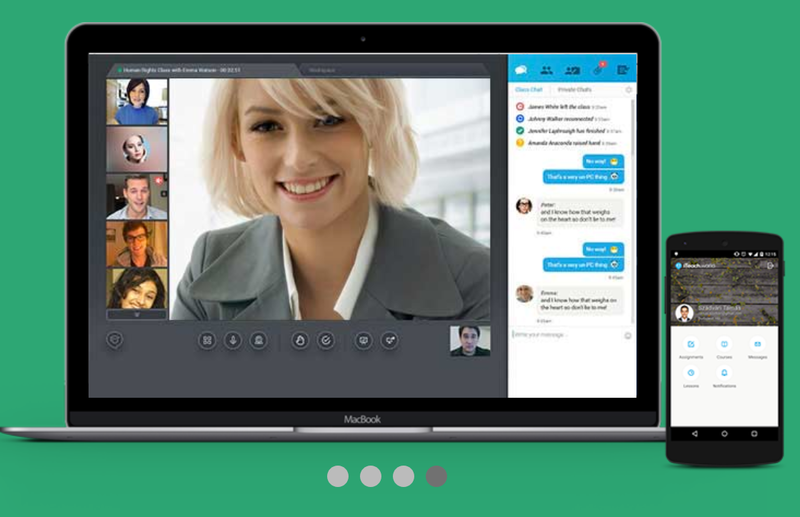 Create transcribed versions of conversations or dialogue and get students to draw on the intonation patterns to show where the intonation rises or falls. You could actually use short exerts from film or TV scripts to do this and then find the clip on YouTube so they can listen to hear the intonation. Drew's Script-O-Rama is a good place to find TV scripts. If you want to transcribe longer texts then you can also download a desktop edition, but this only runs on PC, so I haven't tried it yet. The tool even offers a degree of customization so you can remove or include different features. I hope you find Text2Phonetics useful and soon have your students producing perfect 'RP' accents. Here you an find more web based activities for pronunciation.